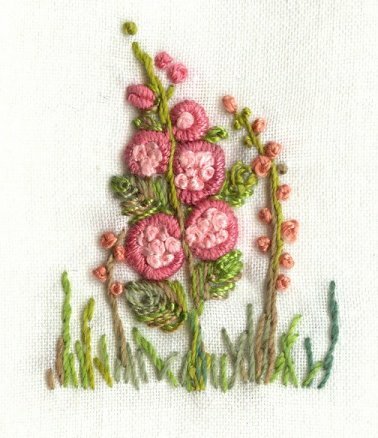 I am increasingly interested in creating handwork based on old patterns and patterns taken from vintage/antique linens. I often feel that this kind of thing is becoming a lost art and I am doing my personal best to keep it alive, while still pursuing my other interests. I learned the basics of handwork from my mom and grandma and have since continued to expand my abilities. 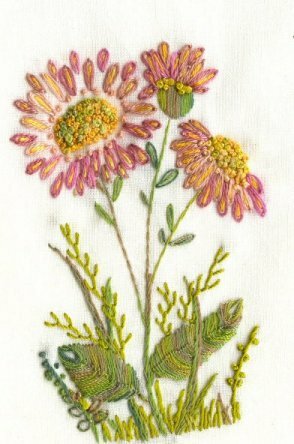 With the increasing prevelance of machine embroidery (which, don't get me wrong, can be very beautiful) I am striving to keep alive old-fashioned embroidery. One of my big complaints about modern kits and so forth is the materials they use. I'm sorry, but I don't want to spend hours and hours on a pair of pillowcases made with 50% polyester just because some people out there don't want to startch and iron their linens. 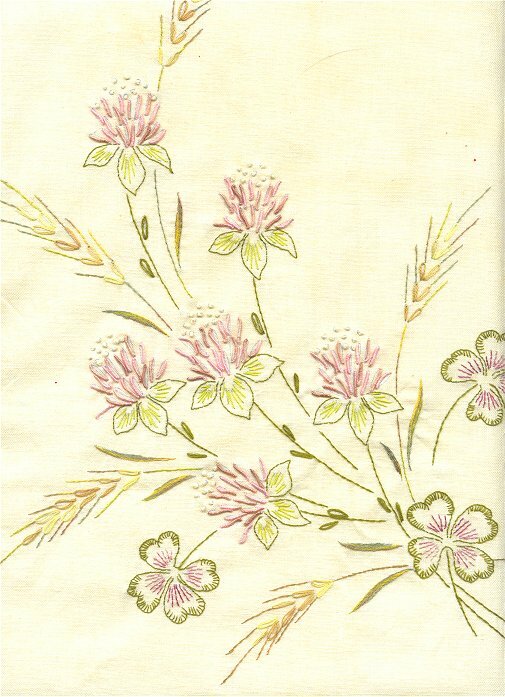 It's my opinion that those who like to do handwork also want to work on quality material - linen, cotton, silk etc. 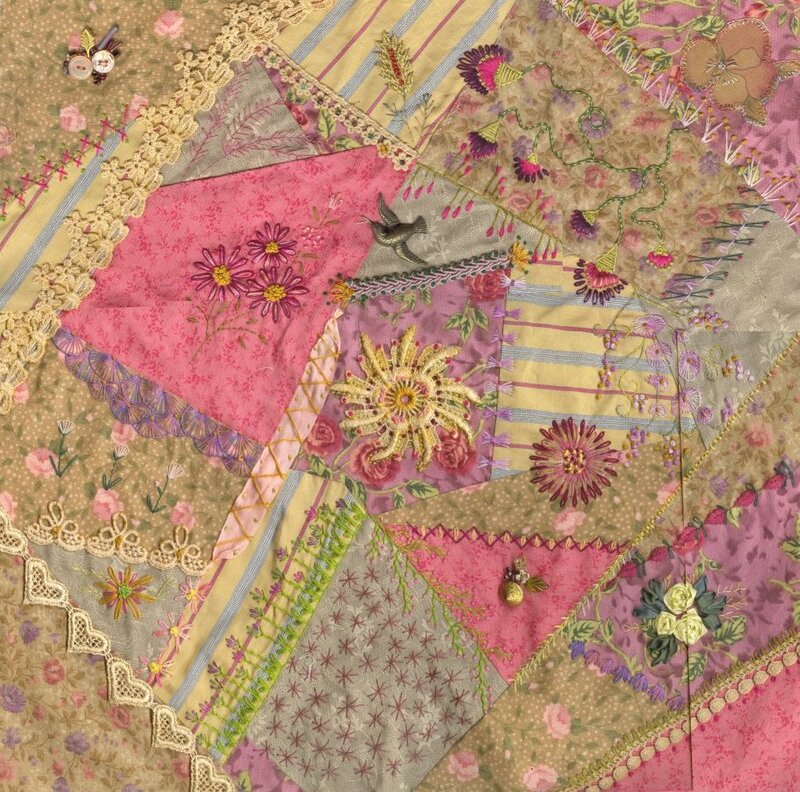 And, not to get too political, but it has not been that many years since you could go to any fabric store and find gorgeous kits for sale on wonderful fabric. I firmly believe that this is because most of our items of this nature are no longer made in this country, in addition to the general lack of knowledge about this art by the young women of America. Who's fault is that? I am not sure, but I encourage those of you who like to do handwork to spread your knowledge to those you know! I have already taught my SIL a few new stitches and my mom has also taught her some basics. I'm also trying to put together a links section for this page - I've got a few, but I encourage you to submit various websites and blogs for consideration. 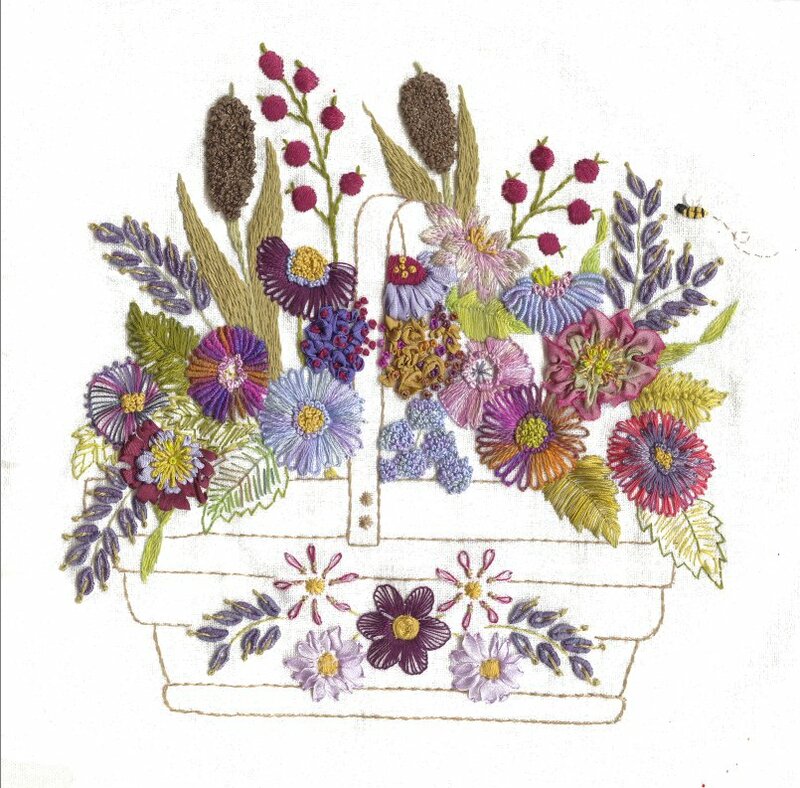 SaronB's fab blog in which she shares her amazing CQ stitching. Be sure to check out her 100 details in 100 days stuff. 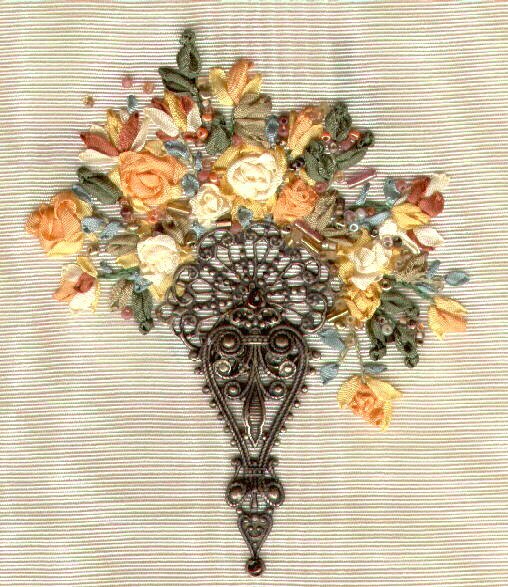 Take a look at the CQ embellishers photo pool on flickr. 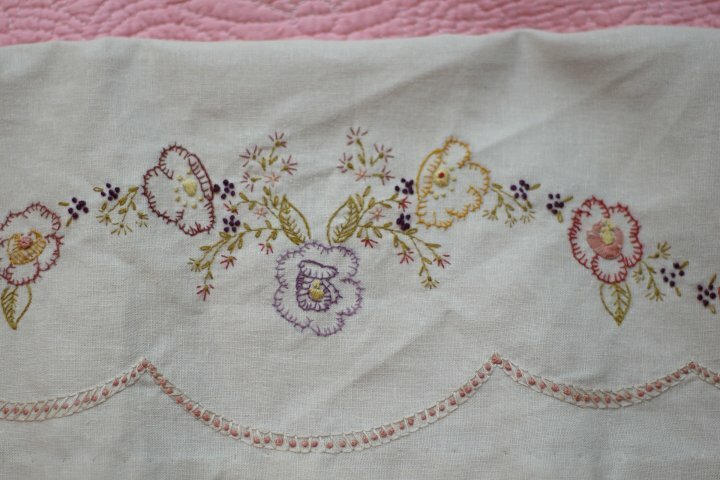 Detail from a vintage runner (previously stamped) that I recently completed. 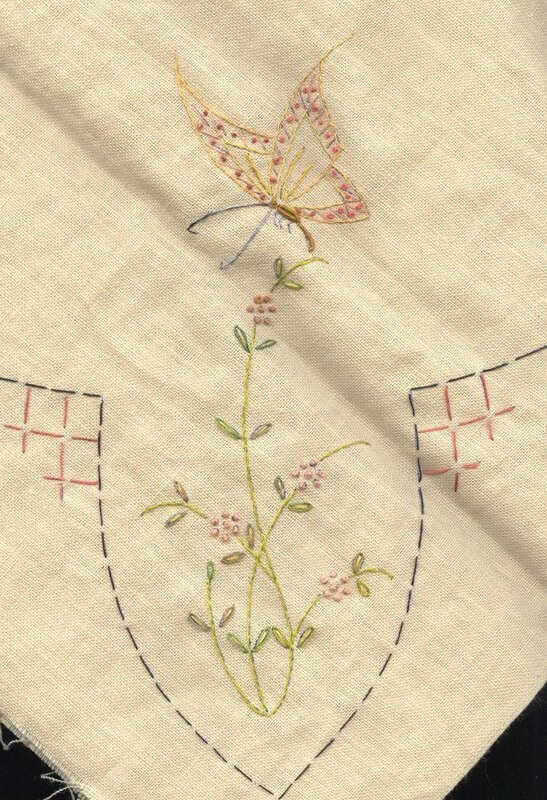 Detail from a runner on linen/rayon. 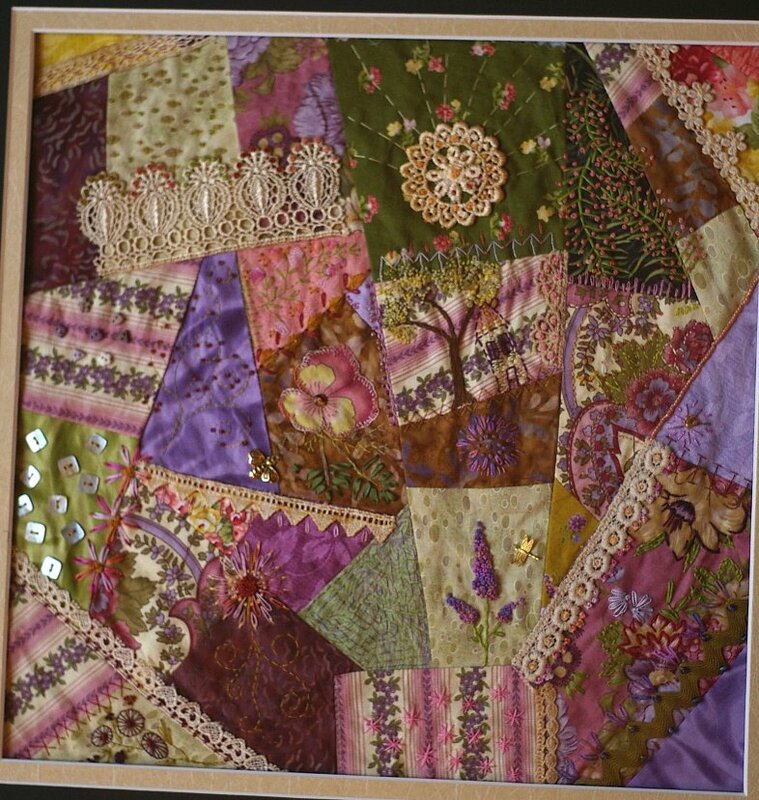 A Crazy quilt block I made and framed for my SIL. 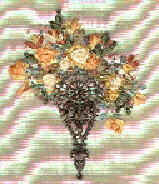 One of a pair. Sorry for the terrible picture here - but I forgot to take the picture before I framed it! 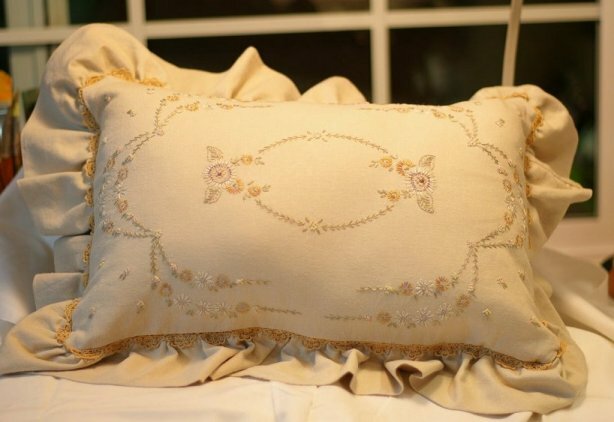 The embroidery on this pillow was done by my mom - the pillow itself was made by me. 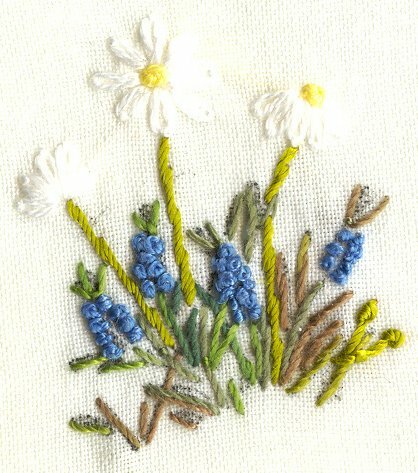 Some tiny little motifs that are going to get framed if I ever get a minute to do it!